How do I setup my store to allow groups of customers to access specific product selections, but not those of others? Pulse Commerce's Advanced Customer Group Add-on Module provides this functionality (additional fees apply). Each customer will have a unique login and password and may be assigned to a Customer Group. Upon logging-in, the customer will have access to only the products enabled for them. They will not be able to see products only visible to other Customer Groups. Note: Customers who belong to a Customer Group will see all products visible to regular customers in addition to products set as visible for their respective Customer Group. Make sure the Visible checkbox is unchecked. This means that the product is no longer visible to common customers. 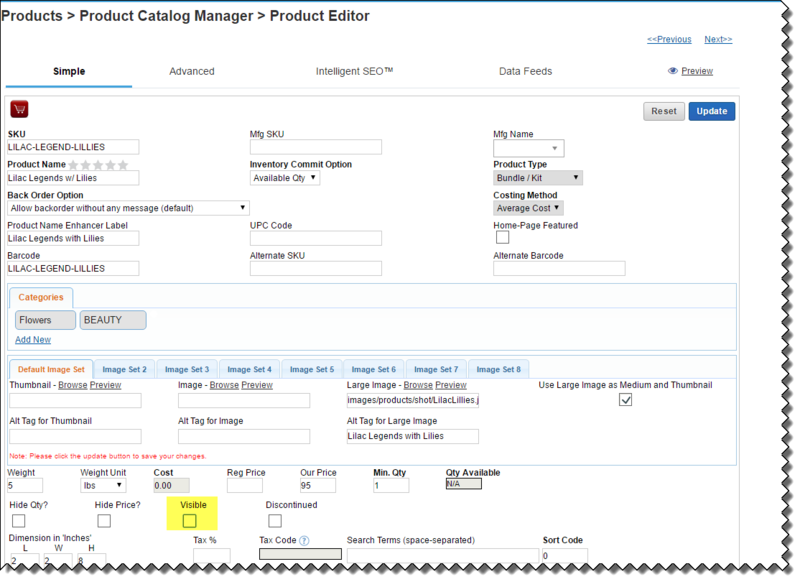 Set the product as visible to the specific customer group by going to Products > Product Catalog Manager > Product Editor > Advanced tab > Customer Group Pricing. Make sure the Visible check-box is checked.